One of the distinctive features of federal practice is that you cannot appeal adverse rulings right away unless the ruling ends the case for good. This stands in contrast to New York appellate practice, where anything can be appealed at any time to the Appellate Division. There are exceptions to the federal rule, and this case -- involving child abuse by the Catholic Church -- is one of them. The case is In re Roman Catholic Diocese of Albany v. Mecure, decided on February 7. The plaintiff sues the Church in Vermont federal court over the sexual abuse he suffered in the 1980s. 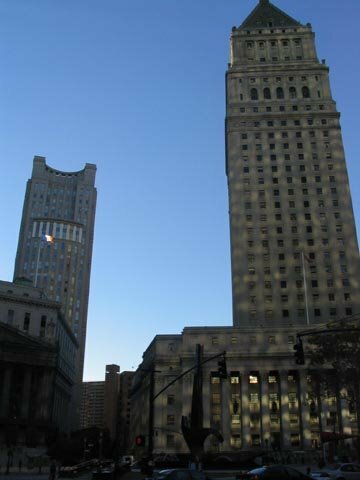 The Church moved to dismiss the case under Rule 12, arguing that the court in Vermont lacked jurisdiction over the Church which has minimal operations in Vermont and is primarily a New York entity. When the court denied the motion, it set the matter down for discovery and opened up the case for mountains of discovery on confidential church files from 1975 "reflecting allegations involving sexual abuse of minors by any Diocese employees, and the details of any resulting investigations." The Church has some good lawyers. They took up an appeal, which under normal circumstances would be dismissed from the Second Circuit for lack of appellate jurisdiction. But the federal rules do set forth emergency mandamus rules that allow the Court of Appeals in special and rare circumstances, i.e., immediate relief from the appellate court is needed to prevent irreparable damage and the appellant has a clear and indisputable right to relief. Or, in non-legal parlance, without immediate action by the Court of Appeals, the "cat is out of the bag," though that language derives from an actual case outlining these procedures. unlike a run‐of‐the‐mill tort case, this litigation implicates significant confidentiality interests for the Diocese, its priests, and (more alarmingly) other victims (and their families) who would likely be subjected to distressing depositions, revisiting pasts that would not otherwise be revisited in a case solely against Mercure. While invasiveness and unpleasantness are not reasons to deny discovery, here disclosure would likely serve no purpose. Thus, any corrective measures would only mitigate a harm that should have been, and still can be, avoided altogether. The Court of Appeals is careful to limit the reach of this ruling. It reminds us that it grants the writ of mandamus on the totality of the circumstances; no single factor was enough to stop this case in its tracks. The Court adds, "this opinion should not be read as inviting mandamus petitions to be filed whenever a party disagrees with a district court's jurisdictional ruling."